Joint Fixx™ Advanced Muscle Science is different from other supplements promoting joint health because it is designed especially for extreme weight training enthusiasts and athletes. These two categories have special needs regarding their joint health, because a lot of strain is applied on the joints when exercising, lifting weights and training hard. The product also uses a special formula, based on certain ingredients, while it excludes others. Made by a company with 20 years of experience in making health supplements, Joint Fixx™ Advanced Muscle Science definitely got our attention and that is why we decided to review it here. 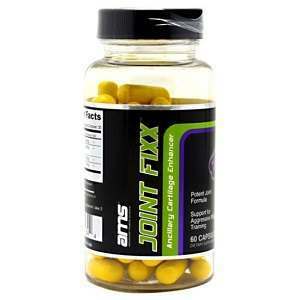 What Does Joint Fixx™ Advanced Muscle Science Contain? Since the company bets on an ingredient that is not regularly picked for joint health supplements, caution is advised. MSM, glucosamine and chondroitin have been clinically tested, and recognized for their anti-inflammation and joint recovery properties. Trying a new product, such as this one, should be accompanied by advice from your doctor. The above figures apply to one serving, or two capsules. The recommended dosage for Joint Fixx™ Advanced Muscle Science is two capsules daily, taken both together. The retail price for a 60 capsule bottle is 49.79USD, so you may want to hunt a bargain, for a lower price. With two capsules recommended daily, one bottle counts for one month supply. There are no actual guarantees offered by the manufacturer, and the return policy is rather tight, as you must return defective items within 24 hours of delivery. Joint Fixx™ Advanced Muscle Science is different from other joint health supplements, by introducing a new formula based on three ingredients, one of them called ASU, obtained from avocado and soybean. As it leaves aside well tried and tested ingredients like glucosamine, chondroitin and MSM, Joint Fixx™ Advanced Muscle Science may not be as efficient as claimed. The fact that it is conceived particularly for heavy lifters is very interesting, but it is unclear how efficient the product really is. Be aware that the product may contain traces of ingredients obtained from milk, eggs and soy, so if you have allergies, it is best to consult your doctor before starting to take them. Mark Stevens	reviewed Joint Fixx	on February 8th	 and gave it a rating of 2.